One of the best ways to tell if a car has been in an accident is to check the paint. If the paint is new, then chances are good that the vehicle has undergone some repair. It’s okay to ask the owner or dealer what kind of damage occurred on the vehicle. You may also want to get your hands on a report of the vehicle by reviewing the VIN number, which is located on the inside of the car door and on the dashboard of the car. Some paint jobs may suitably cover up rusty spots. However, it is still important for you to do your best to look for rust. If a vehicle has signs of rust, then you need to look closer. Sometimes, even a small rusty spot can be a sign of weak metal or of a larger hidden problem. Look on the exterior of the car itself as well as in the wheel wells. Look inside of the car for signs of damage to the upholstery, including the ceiling. It can be expensive to repair fabrics on the interior of cars, especially if they need to be completely replaced because of wear and tear. When you own a car, you may never have to actually touch the oil while you’re changing or inspecting it. However, if you are about to make a major car purchase, it’s time to get dirty. Remove the dipstick and rub a small amount of the oil between your fingers. The oil should feel smooth. If there are particles of any type in the oil, this could be an indication of engine trouble. Make sure that the engine starts at once. Slam on the brakes (they should stop immediately). Check the emergency brake to make sure it works. Shift through all of the gears, even if the car is automatic. Listen for unusual sounds, such as clinking or grinding. For more information about how to inspect a used car in Guelph, visit us at www.milburnautosales.com or stop by to speak with one of our mechanics. We’re always happy to make sure that your vehicle is safe and that you have peace of mind when you buy with us. Keeping one’s car clean is often viewed as a chore or something that is time-consuming and laborious. For people out there who do not enjoy washing and taking care of the vehicle, there are ten car cleaning tips that will help to make this process go easier, make the car look fantastic, and will help to keep it cleaner between regular cleanings. 1. The first step in keeping the car clean would be to unsure that trash and items get taken out of the car regularly. Trash should not be left in the back seat for days at a time. If there is a bag from a fast food restaurant, it should be thrown out that day. This will cut down on the cleaning time where a thorough job is done. 2. Car mats in the car will help to collect water, mud and debris. In between regular cleanings, these mats can be quickly and easily shaken out to keep the dirt out of the car. 3. The trunk and back seat of the car is often a collection place for books, jackets and more. Keeping a small box or bag in the back where a few items can be stores can keep things organized and in one place. 4. 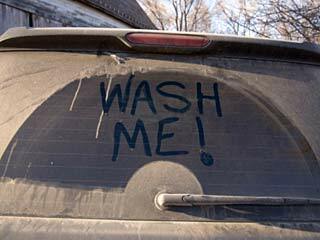 When doing a full cleaning of the car, the use of a protecting spray that cleans and treats the dash is recommended. One recommendation would be to not use this on the steering wheel as it can make it slippery and potentially dangerous. 5. A crevice tool for the vacuum is necessary when it comes to getting into the areas between the seats and the console. Otherwise, dirt will be left behind. 6. If the car has leather seats, it is a good idea to use a liquid leather product that is designed to treat and maintain. This will aid in preventing cracked seats. 7. On the outside of the car, using a combination wash and wax product will save considerable time. 8. To avoid getting any water spots on the car, towel drying should be done with a soft and lint free towel. 9. Tires should receive an application of tire spray. These sprays usually should sit on the tire for a few minutes before being wiped off. This will give the tires a nice shine to them. 10. Finally, an air freshener should be placed in the car or one should be sprayed in the interior. Sound Like A lot? Well you can also bring your vehicle to our Auto Spa in Guelph. 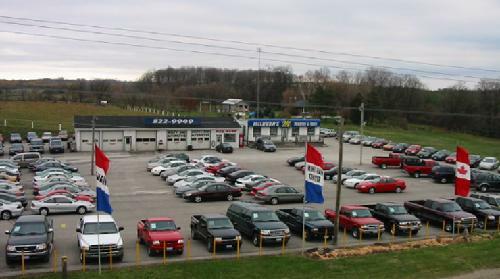 At Milburn Auto Sales, we have all your automotive needs covered, we offer financing, service, car detailing and quality used cars in Guelph. Visit us today at www.milburnautosales.com or call us at 877-822-9949.